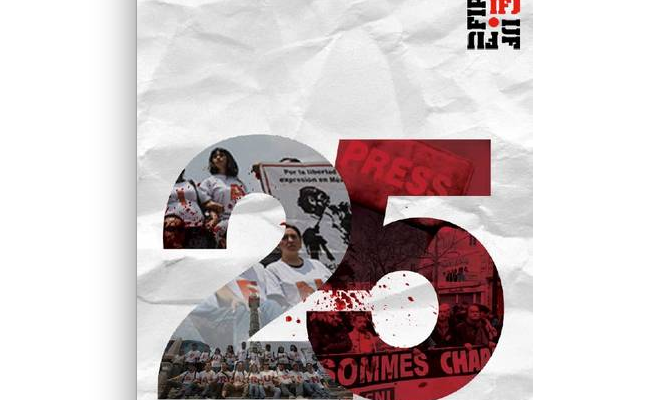 The International Federation of Journalists today published its 25th report on journalists and media staff killed since 1990. The report lists 2297 media fatalities due to violence in journalism, including 112 killed in 2015 alone. From double digits at the start of these publications, the figures reached three digits in eleven years, peaking to 155 killings of journalists and media staff in 2006, the deadliest year on record, according to the IFJ reports. The IFJ report says that killings span the entire globe where wars and armed conflicts, while accounting for many cases of loss of life in journalism through targeted killings, bomb attacks, cross fire incidents and increasingly violent kidnappings, are not the only justification for the grim numbers. This finding is reflected in the ten top spots of the most dangerous countries in the report which feature places which suffered war violence, the breakdown of law and order as well as crime and corruption. These are Iraq (309), the Philippines (146), Mexico (120), Pakistan (115), Russian Federation (109), Algeria (106), India (95), Somalia (75), Syria (67) and Brazil (62). Last year, France (10) shared with Iraq (10) and Yemen (10) the top position on the list of countries with the highest number of killings, following the massacre of journalists and media personnel by the terrorists at the French satirical magazine Charlie Hebdo. Asia Pacific region recorded the highest death toll of 571, followed by the Arab World and Middle East with 473 killings, one more that the Americas (472) . Africa comes in the fourth position on 424 victims ahead of Europe with 357 dead. In 2015, the Americas had the most fatalities (27), followed by the Middle East (25). The other finding which is borne out of the report is the scant consideration to the levels of violence against journalists around the world, with just one of ten killings being investigated. The IFJ says that the lack of action to eradicate the impunity for killings and other attacks on media professionals continues to fuel violence targeting them. The report also provides details on the campaign waged on many fronts over the years by the IFJ and its affiliates to make journalism safer. 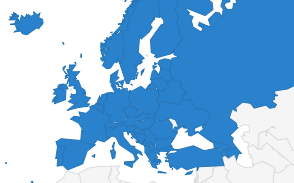 They include the initiatives by the Federation such as the creation of the International Safety Fund to provide assistance to journalists in need and the setting up of the solidarity centres in Algeria, Colombia, the Philippines and Sri Lanka to monitor crisis situations and distribute assistance. There were also practical tools to provide advice to journalists on dangerous assignments such as the adoption of the international code of conduct for the safe practice of journalism and the publication of Live News, a survival guide for journalists covering war zones. 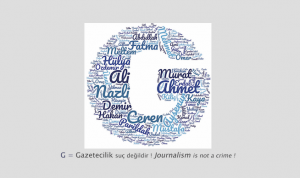 Furthermore, the Federation took a leading role in building coalitions within the press freedom community and media industry to protect journalists through the creation of organisations such as IFEX and INSI. 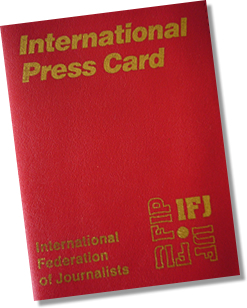 The IFJ also developed partnership with inter-governmental organisations, including UNESCO on the UN Action Plan on the Safety of Journalists and the Issue of Impunity, the Council of Europe on its Online Platform for the promotion of journalism and the safety of journalists. It has worked with the International Committee of the Red Cross to facilitate journalists’ access to its Hotline in case of need for emergency assistance. The IFJ stresses that these reports served the purpose of raising the alarm against violence in media and of promoting the protection for journalists and the importance of mitigating risks to their safety and security. The report says that this is a shared responsibility, including the role of journalists and their employers to educate themselves in risk assessment, avoid reckless assignments and take all necessary precautions while working in dangerous environments.